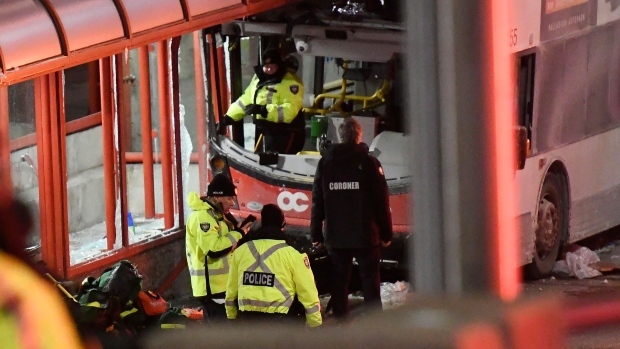 OTTAWA -- Those critically injured when a double-decker city bus crashed into a transit shelter in Ottawa on Friday have started getting better, a local hospital said Sunday. The patients who had been listed in critical condition are now considered to be in serious condition, the Ottawa Hospital said in a tweet. Three were killed and 23 hurt when a double-decker city bus hopped a curb and collided with the shelter, taking a chunk out of the vehicle's second level and crushing several seats. The hospital initially said 14 patients were taken to hospital in critical condition -- two of whom died -- and 11 were in serious condition. Meanwhile, the city announced that the scene of the crash, the Transitway, would reopen on Sunday evening, more than 48 hours after the collision. It asked that mourners hoping to leave a memento or memorial item do so at two designated areas: the westbound transitway platform on the lower level and the northwest corner of Scott and Athlone. 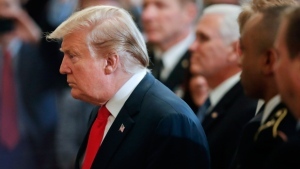 But in spite of the developments, officials say the investigation is far from over. Ottawa Police Chief Charles Bordeleau has said as many as 90 passengers were on board, who investigators will need to question. Police officers are collaborating with Ontario's Ministry of Transportation and Transport Canada to probe the incident. "It's a slow, painstaking process," Bordeleau said at a news conference on Saturday. "Our goal is to ensure that we get it right."